Here at Chiropractic Associates of Worcester, your health and wellness are our main concerns. 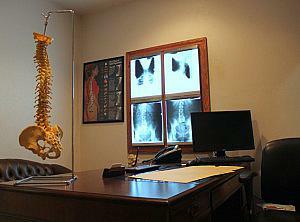 We strive for excellence in Chiropractic care and diagnosis of conditions. Dr. Finnegan is extremely qualified in these areas and provides experience and professionalism in the treatment of all of his patients. He has been providing exceptional Chiropractic care to patients of all ages and with many variations in conditions since 1996. We have dedicated, qualified staff who are ready to assist you on your way to better health. We offer a modern facility with free and ample parking in the charming Tatnuck Square neighborhood. We participate with most major insurance plans and have varied and convenient office hours. Please call today with any questions or to schedule an appointment.